Lately and with great honor I have had wonderful opportunities as an artist and graphic designer to work with my direct community in San Francisco. Currently and recently launched is a very crucial fundraiser to Save The African Outlet and help them establish a dynamic African Cultural Center in San Francisco. A place that is safe and accessible for all SF residents and visitors to get in touch with Native Africa, the roots of all human culture. Working with store owners Judah Dwyer and Horgan Edet, I edited the video, constructed the graphics, advised and assisted with setting up their crowd-fundraiser campaign. The African Outlet is my favorite store in the whole world and even more so like a shrine. Any of your help with this cause is deeply appreciated. 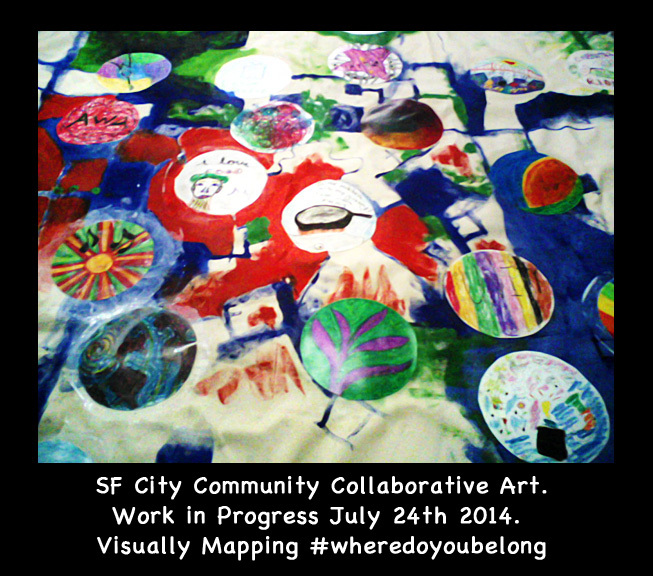 Also over the last couple of months I have been working on a collaborative community painting project with Jason Wynman of 14 Black Poppies and Rebbeca Shultz for CHP Housing Project in San Francisco. We ask people the question where do you belong? For there they constructed their own visual about the subject matter and pasted onto a large canvas which Rebbeca and I have been painting around, making it look a bit like a map or topological view of a landscape. Very much looking forward to the next phase and very happy to be working along side so many creative constructive forces in my direct community: San Francisco, California. 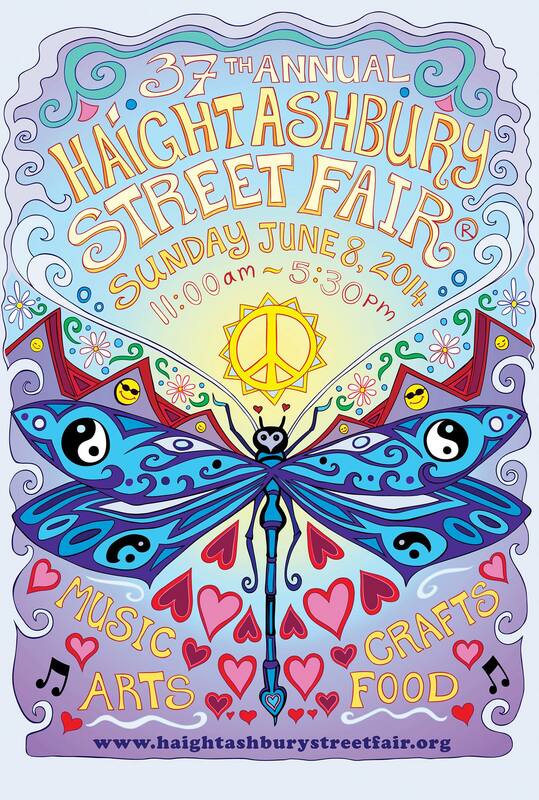 June 8th was the 37 Annual Haight-Ashbury Street Fair. I had entered a design for their poster contest and got a runner up position so my design was printed on postcards available for sale. 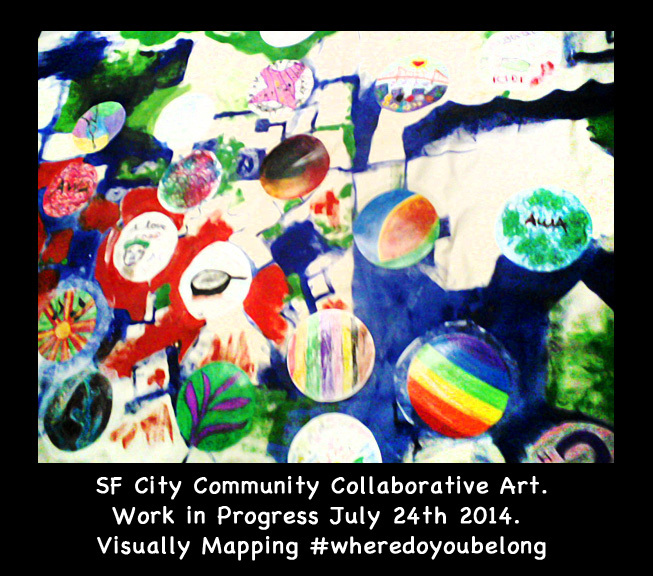 Runner up Poster Design available on Postcards for Haight-Ashbury Street Fair 2014 by Drea. 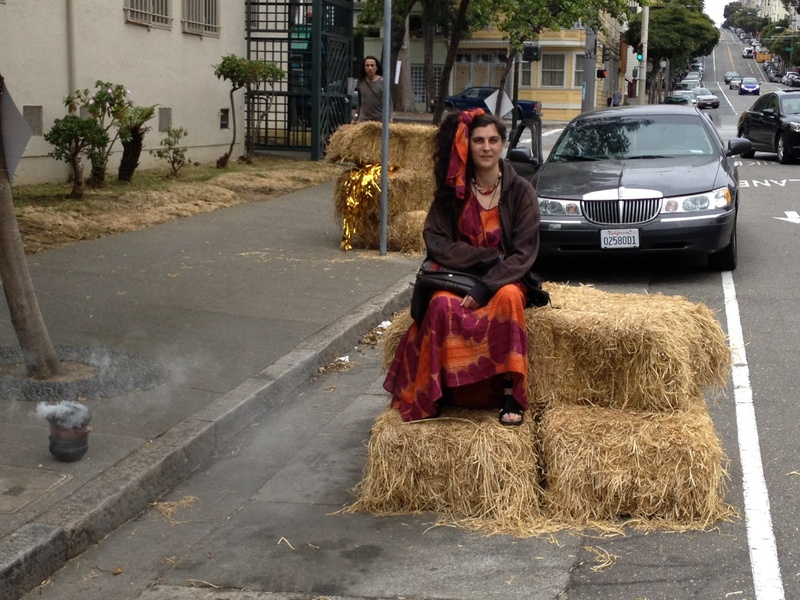 Image Copyright Haight-Ashbury Street Fair. Thank you to everyone involved for such a wonderful day, I love attending every year, the vibe and art is has been very influential to my art over many years and am super happy to be featured in their collections with so many wonderful artists. Recently have been working on some graphic jobs and new designs. Saturday June 14th, will be participating with The African Outlet Experience in the Juneteenth Parade here in San Francisco, CA. Drea after Juneteenth parade 2013 with incense pot. 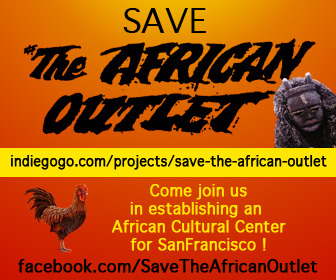 With the African Outlet we have been planing and working on some new direction to their campaign to save their store here in San Francisco (currently at 524 Octavia Street). Including fundraisers, parties and the yearly World One Festival across the bay in El Cerrito. We have released an instagram page for all the instagramers out there to spread the word, see the vibe and show support. Stay tuned for more ways to help and of course more art! Hope you’re all having a wonderful June month so far. Traditional Fine Art and Digital Graphics.